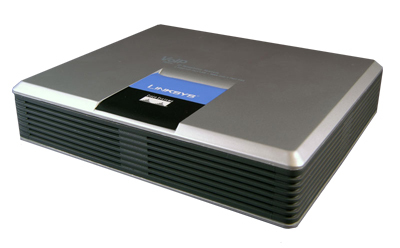 If you are looking for the LVS9000 you've reached the right site... Not only is our service completely compatible with this device but we also offer the Linksys SPA400 FXO Gateway and offer free provisioning and configuration for all of our customers. Full Featured Internet Telephone Key System for Small Businesses and Home Offices. The LVS9000 marries the rich feature set of legacy PBX telephone systems with the convenience and cost advantages of Internet telephony. It has common key system features such as an auto attendant, shared line appearances, three way call conferencing, music on hold, "follow me" calling, and many more. The LVS9000 opens up access to the benefits of Voice Over IP, including low cost long distance service, phone number portability, and one network for both voice and data.